It's official: I am in love with cream eyeshadow sticks. They're so easy to use as they can be applied directly to the eye and the formula is generally so long wearing and resistant from creasing, you can get away without using a primer. I currently have just three eyeshadow sticks in my life (I need more), but they're all different prices so there's one for every budget. Oh Golden Brown, what a stunning shade you are! This beautiful bronze colour contains very fine shimmer and is super pigmented. It can be easily blended out with the warmth of my fingers for a more subtle wash of colour or easily layered for more impact. The stick has a rounded edge, which applies the creamy formula smoothly along the lid and doesn't drag or catch on the eye. This is such good quality for the price and I would love to try more shades from the range. Ok, so you don't have to spend a lot more to get your hands on this one, but it's still some extra pennies out of your purse! This was the first eyeshadow stick I ever tried and I'm currently onto my second tube. No7's offering has a softly pointed tip so it can be used for precise lining as well as all over colour. 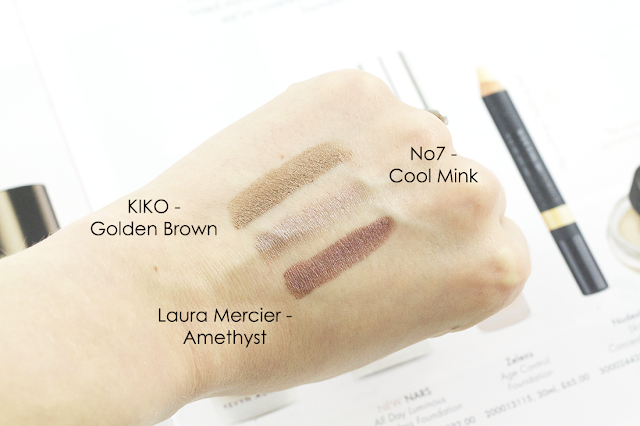 I prefer the latter as Cool Mink's shimmery taupe-brown shade works perfectly for a brightening, daytime look. I would say that this is the least creamy formula of the three, but it is still soft and hydrating on the skin. A bit of a jump in price now, but if you're feeling spendy this is the one you just have to purchase. 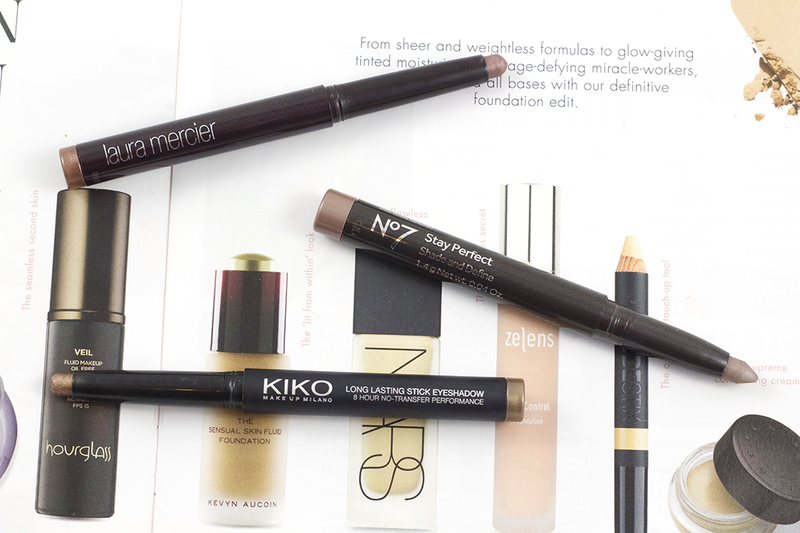 With a rounded tip, this stick takes creaminess to the next level and literally glides across my skin. Amethyst is a shade I reach for in the evening; it's a warm toned brown with mauve undertones and a slightly frosted finish. Again it's easily blendable and buildable to alter the colour depth and once it's on, this bad boy just does not budge - it's certainly the longest wearing of the three. What is your favourite eyeshadow stick? I'd love some recommendations for my next purchase! I've heard a lot about the Kiko eyeshadow sticks! Might want to try them out one day! I'm loving cream shadows at the moment! I love my By Terry 'Misty Rock' but definitely think there's more affordable options out there. Definitely want to try some from KIKO! These all look and sound beautiful, and the shades are just gorgeous! I think i'll definitely have to test them out for myself come payday! Thanks for leaving your link in the twitter chat last night!